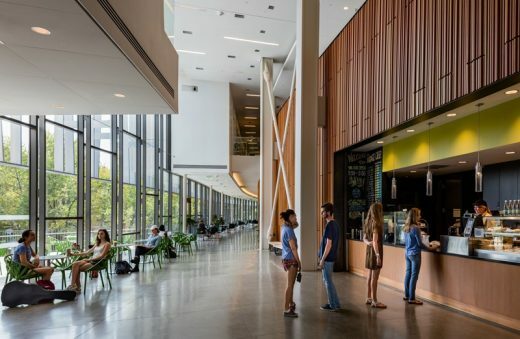 We’ve selected what we feel are the key examples of American University Buildings. 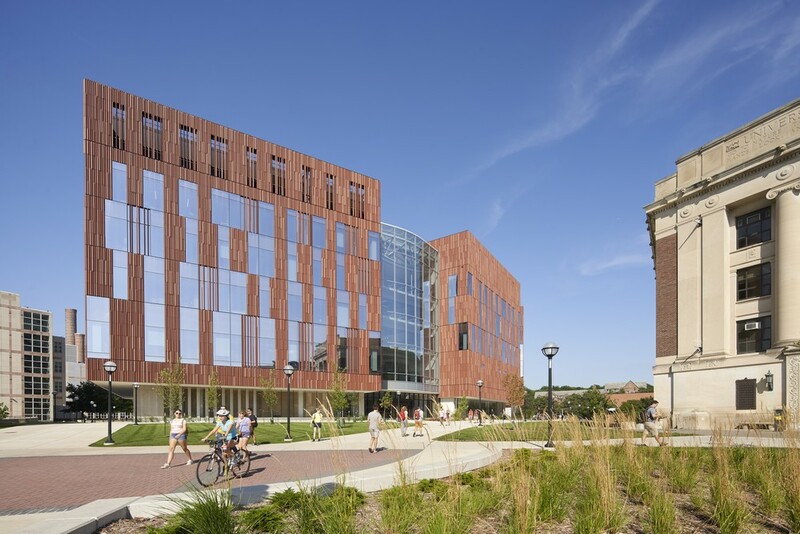 We cover completed US university buildings and new building designs. 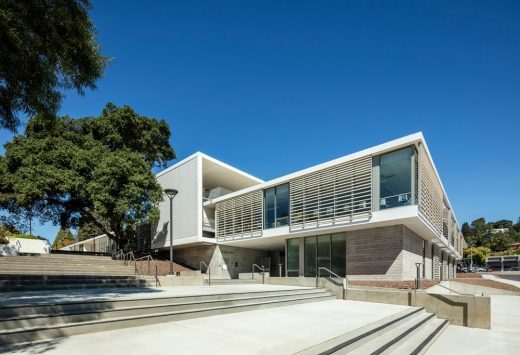 The focus is on contemporary American educational buildings. 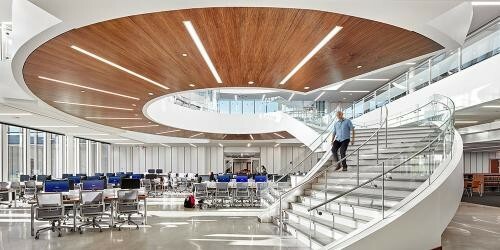 We have 4 pages of American University Buildings selections with links to many individual project pages. 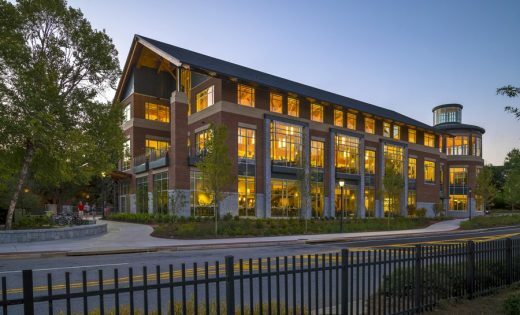 “The Ruby” reinvents the role of the arts within the university, extending Duke University’s culture of interdisciplinary study in science, engineering and medicine to the arts. 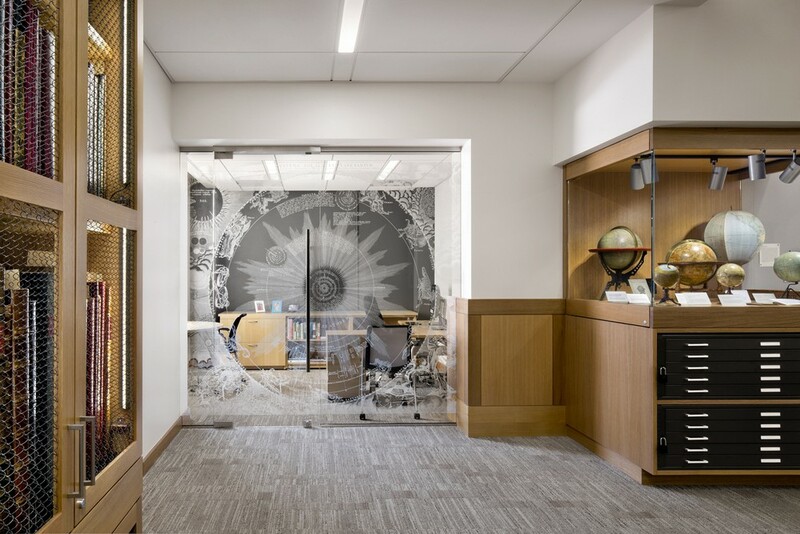 This interior architecture project renovated the fourth floor of Stanford University’s Green Library to house David Rumsey’s rare map collection. The design of the 245,000-gross sqft BSPB at the University of Arizona Phoenix Biomedical Campus is inspired by the state’s iconic, majestic mountains and canyons. 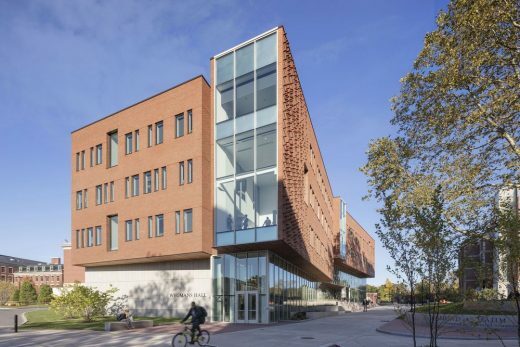 Located in the Collegetown section of Ithaca, one block from the Cornell University campus, this is a seven-story building housing 76,000-sqft of teaching and learning spaces. The new Institute of Data Science at the University of Rochester is the signature focus of the University of Rochester’s Strategic Plan to foreground information technology in a new educational model for cross-disciplinary research and innovation. The transformation of a landmark building on the University of Michigan campus in Ann Arbor is being celebrated today. 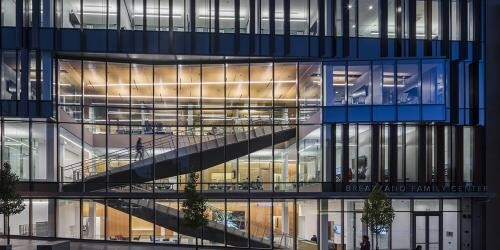 The renovation and expansion of Weiser Hall repurposes the mid-century ten-storey tower to create a dynamic learning environment for interdisciplinary study and exchange. This new American further education building design dramatically redefines what a college athletic venue can be, designing an iconic social hub that brings students and faculty together while demarking a new gateway for the campus that reacts to the push and pull of surrounding buildings, playing fields, and aquatic center. 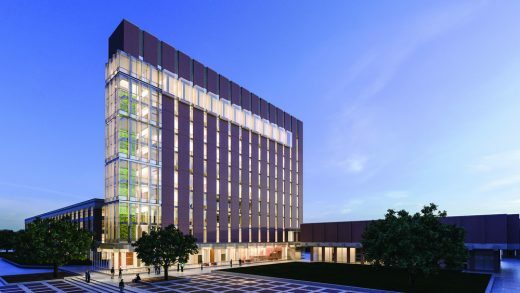 This new American higher education building design fulfills the space needs of a growing faculty, fosters the collaboration essential to a rich educational experience and strengthens the Law School’s visual identity. 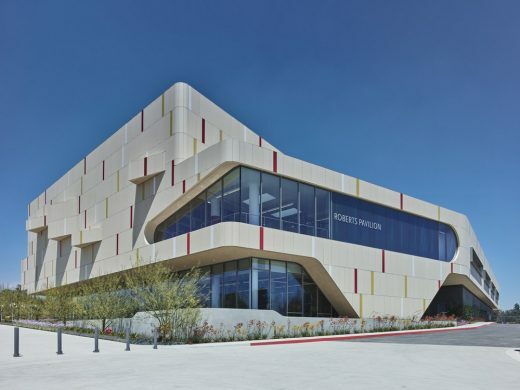 Partners Olcott and Don Weinreich led the design team. 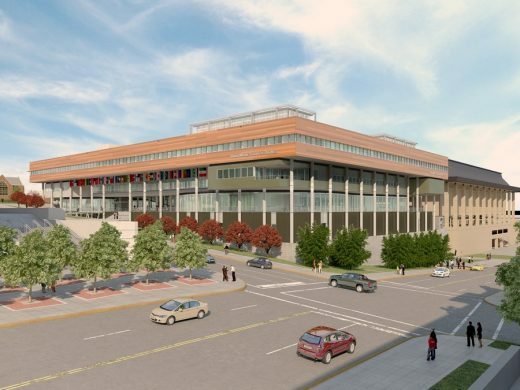 The Global and International Studies Building (GISB) designed by Susan Rodriguez of Ennead Architects, in association with Browning Day Mullins Dierdorf, recently broke ground on the campus of Indiana University. With this inaugural home of IU’s School of Global and International Studies, the University takes a major step toward becoming a world leader in global studies, educating students to play key roles in solving critical global issues. Rafael Viñoly Architects is proud to announce that the University South Carolina celebrated the “Topping Out” of the new building for the Darla Moore School of Business in a ceremony today held at the construction site. 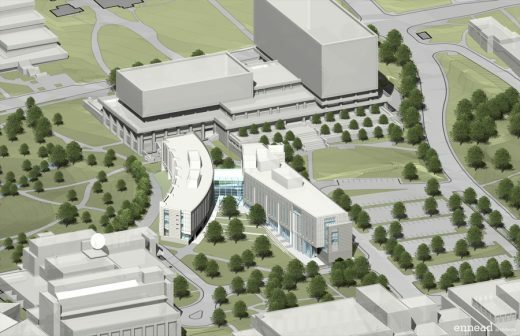 After winning a global design ideas competition, HOK has been selected to design the new University at Buffalo (UB) School of Medicine and Biomedical Sciences on its downtown campus. 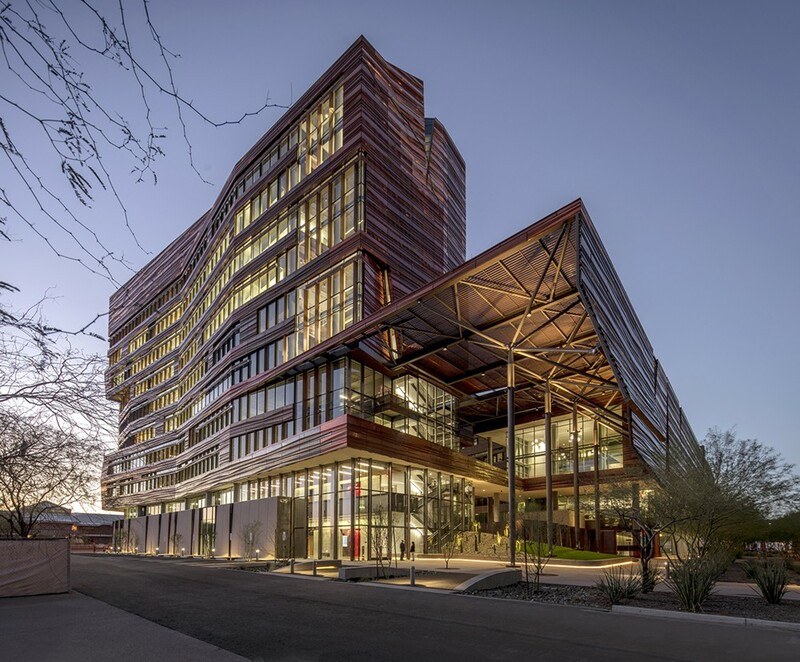 Competition finalists included Pelli Clarke Pelli Architects and Cannon Design, Rafael Vinoly Architects with Foit-Albert Associates, and Grimshaw and Davis Brody Bond. 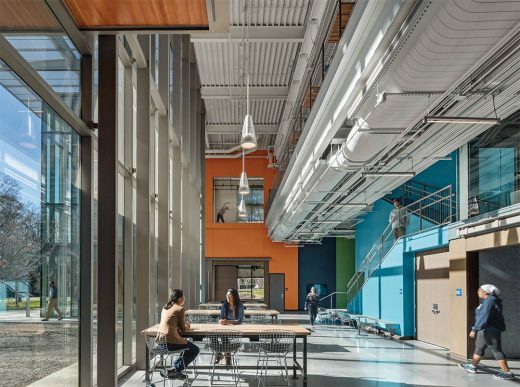 BRB Architects has completed the 57,000 sf campus center and associated main quadrangle at Molloy College. 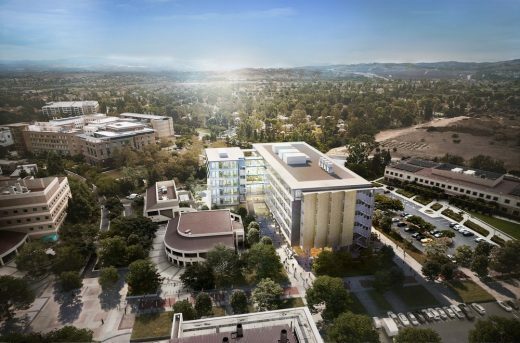 Intended to be the centerpiece of the College’s transformation from a commuter college to a 24-hour learning community. The McGee Art Pavilion is an expansion to the School of Art and Design at the New York State College of Ceramics in Alfred, New York. The Pavilion is designed as a large ceramic vessel for holding art and light.